Systemize all the branches of an institution consolidated into a single main account and monitor day to day activity in every branch using Dashboard reports. From enrolment to promotion, EduSys saves paper, time, money and human resources by providing intuitive digital tools for registration, compliance, and the end-to-end organizing of student information. By simplifying back office operations, we allow administrators to run campus more efficiently, freeing up valuable time for them to focus on student needs and growth. Staff Communication : Chatting, Notification, Calendar, Events and Email Tools are provided to enable prompt and effective communication. Staff Pulse : Can quickly get the pulse of any user group on any subject using Poll feature which will allow you to pose a question and see the response in a graphical display. Staff Attendance : Can take attendance effectively across departments which would help in capturing the entire staff status at a birds-eye view. Naturally you can track enrolment status and store multiple contacts, addresses, demographic data, attendance, behaviour, family details, medical, documents and academic data for each student in a grid. Leave Management : EduSys tracks leave requests for both staff and students and at a glance entire summary of any particular campus user can be portrayed pictorial. 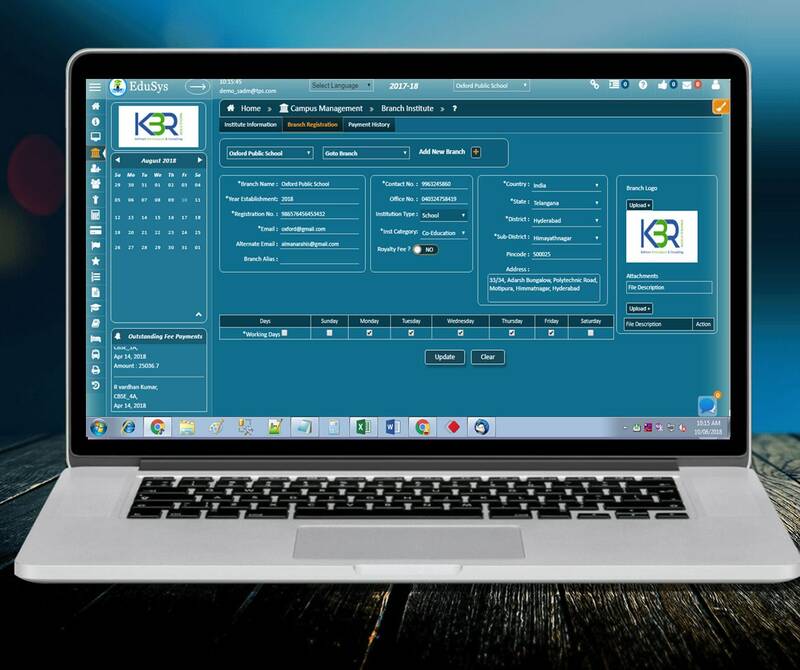 Powering Your School Operations - Streamline, secure and scale your school operations and management.